Suzanne Cleary’s Beauty Mark wins the Eugene Paul Nassar Poetry Prize. Beauty Mark (BkMk Press 2013) by Suzanne Cleary is the 2014 winner of the Eugene Paul Nassar Poetry Prize. Cleary is a Professor of English and teaches creative writing at the State University of New York at Rockland. Her previous books are Keeping Time (2002) and Trick Pear (2007). She is the winner of the 2012 John Ciardi Prize for Poetry (selected by Kevin Prufer) from the University of Missouri, Kansas City, and the winner of the 2012 Emerging Writer Fellowship for Poetry from The Writer’s Center, Bethesda, Maryland. 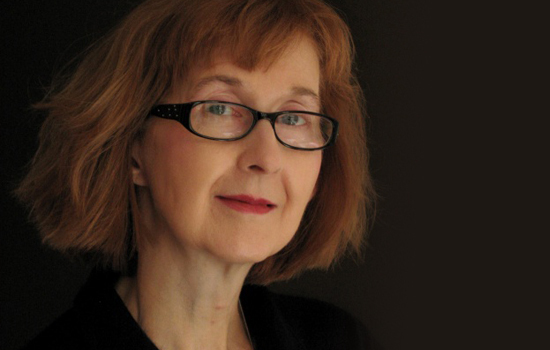 She is also a Pushcart Prize winner and her poems have appeared in prominent literary journals including Poetry London and The Atlantic, and in anthologies such as Best American Poetry. 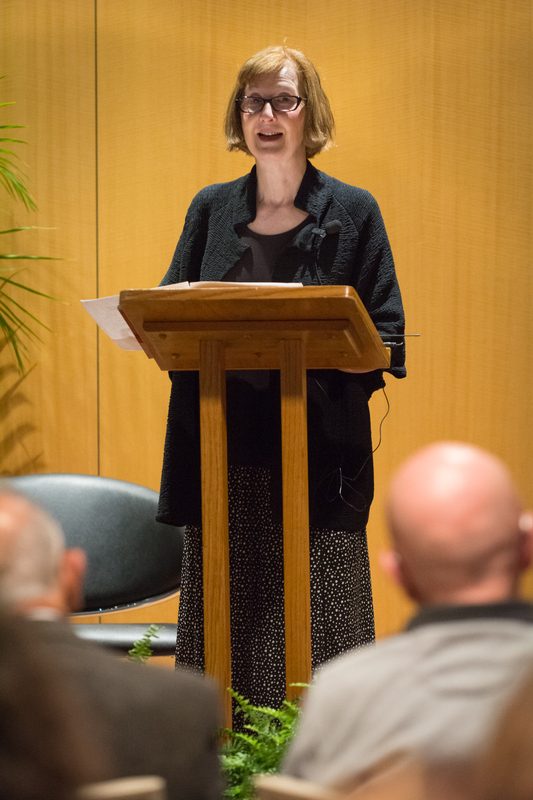 Before beginning the reading, Cleary, a native of Binghamton, New York, noted how proud her parents would be to know that she had been awarded a poetry prize that honors an Upstate New York author. Cleary also graciously acknowledged Dr. Nassar and Utica College for honoring her with the Nassar Poetry Prize. 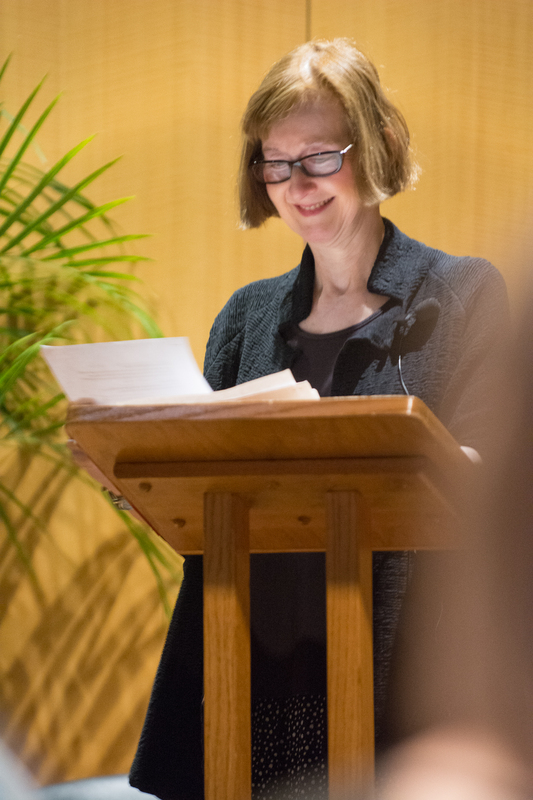 While she read Cleary’s wit routinely sparked loud laughter and applause, as well as a good share of mid-poem chuckles, oohs and ahs, and each poem was enthusiastically received. However, as we were in the midst of great poetry, and not stand-up comedy, the audience also sensed the elegance of expression, and not just humor, but the poignant comedy of being human, modulated so the spirit takes flight on the wings of words. If you are not familiar with Cleary’s work, several poems from Beauty Mark are available on-line. I recommend “Italian Made Simple” which was the subject of an interview on the PBS NEWSHOUR. “Freud’s Little Statues,” “Swimming with Miss Peggy Lee” and “Cezanne’s Clogs” are featured at the Connotation Press website. 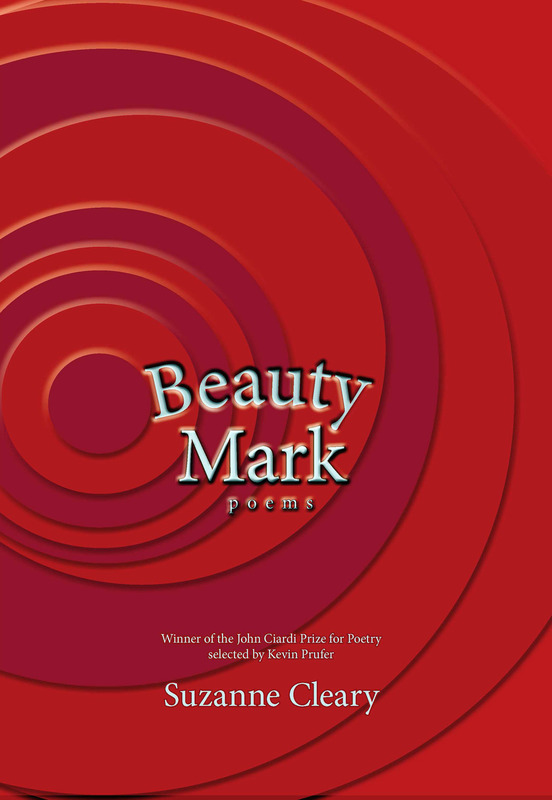 Appearing at Cleary’s own website are earlier poems, “Anyways,” “Glory,” “On His Deathbed the Acrobat Tells His Daughter To Buy Land,” and “Echocardiogram,” as well as “Cheese-Of-The-Month Club” from Beauty Mark. There is also an in-depth interview by Marie Mayhugh on writing the poems of Beauty Mark. 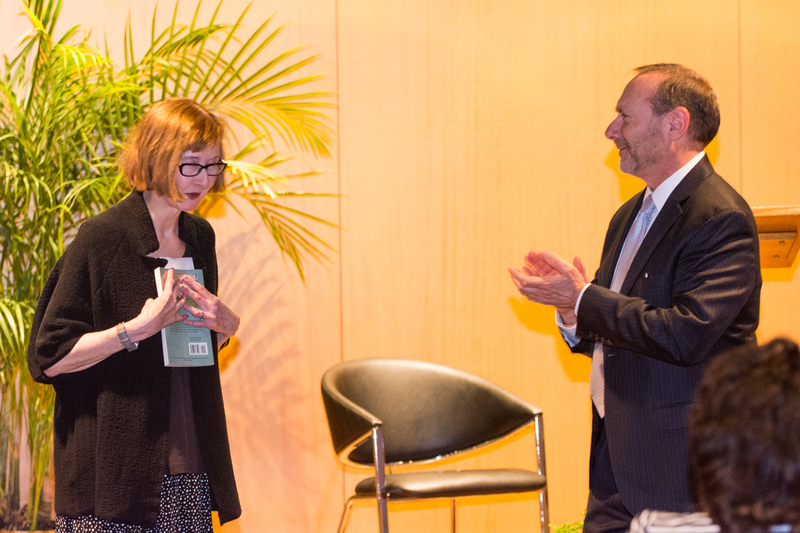 Following the reading, I had the privilege of publically thanking Suzanne for her wonderful poetry and the joy it bestowed on the occasion of honoring Dr. Nassar through this prize. After I presented the deserving winner with a $2,000 check, together with a signed copy of Dr. Nassar’s book, A Walk Around The Block, everyone filed out to our traditional hospitality hour. While attendees talked all things poetry, partaking in deserts and beverages, Cleary was busy signing books for a line of fans eager to speak to her. I was able to meet old friends and make some new ones, all of whom praised the event and Suzanne’s marvelous renditions. I paused for a moment to take in that familiar din of good cheer echoing in the hall outside the auditorium, and for a poetry evening, folks, it doesn’t get much better than that. On a personal note, at our dinner before her reading, I found Suzanne to be a wonderful conversationalist, and especially gracious and kind. We seemed to cover a lot of ground in a relatively brief time. However, I was most impressed with her thoughtful compliments on the student poems she had read in connection with the master class she would teach the next day. Elaine Paravati’s post, “You’ve Got to Have Nerve,” relates her experiences at Cleary’s reading and the next day’s workshop, and in it you can hear poetry’s engine humming in the background. 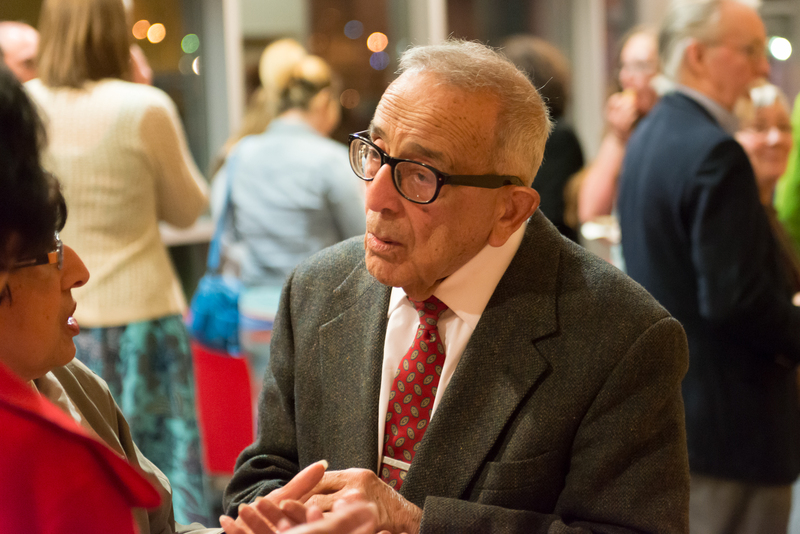 It is for these reasons that I am thrilled to be involved with Utica College and the Nassar Poetry Prize, the idea for which emerged from a luncheon conversation with Dr. Frank Bergmann on how I might suitably honor my mentor, Gene Nassar. I thank Frank for providing the initial push on this dream of mine, as well as Dr. John H. Johnsen, Dean of the School of Arts & Sciences, for the necessary administrative support, and President Todd S. Hutton for recognizing that poetry has an important place in our lives. I am particularly grateful to Gary Leising for serving as both captain and laboring oar. [Gary, by the way, is also an accomplished poet, whose latest book, The Alp at the End of my Street (Brick Road Poetry Press 2014), should be in everyone’s library.] I thank Anthony Villanti, UC’s Executive Director of Development, for continued logistical support. Lastly, I join with all of Gene Nassar’s students in thanking him for letting us into his life. Dare I add I can hardly wait to meet next year’s recipient?